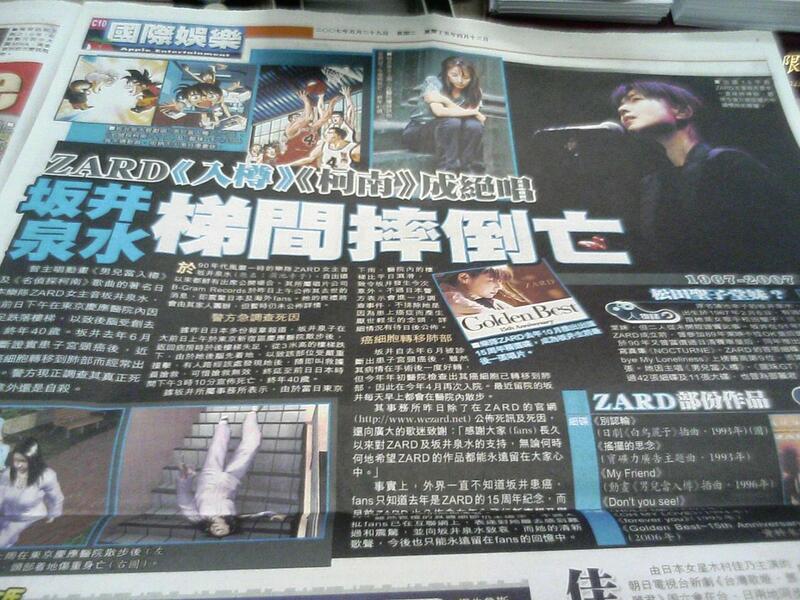 Today the HK entertainment top news reported Zard 坂升泉水died. I am so surprised and sad to read this news. I like her songs. She was so popular in Hong Kong because she sang the songs of 「名探偵コナン」and [Slam dunk] and CM of ポカリスエット. She was so young only 40 years old. Said she dropped down the step in Hospital. Maybe this time was suicide because she had cancer and the disease went to her lung. If really, that was pity. Sick is harmful to human being. This news made many fans sad. Her voice was sweet and beautiful. We only listen her old songs to miss her.